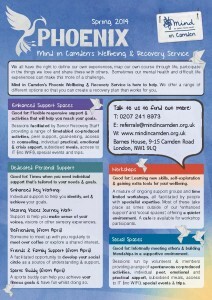 Following the reconfiguration of Camden’s mental health day services, Mind in Camden, we are excited to be launching our new Phoenix Wellbeing & Recovery Service on Monday 3rd February. 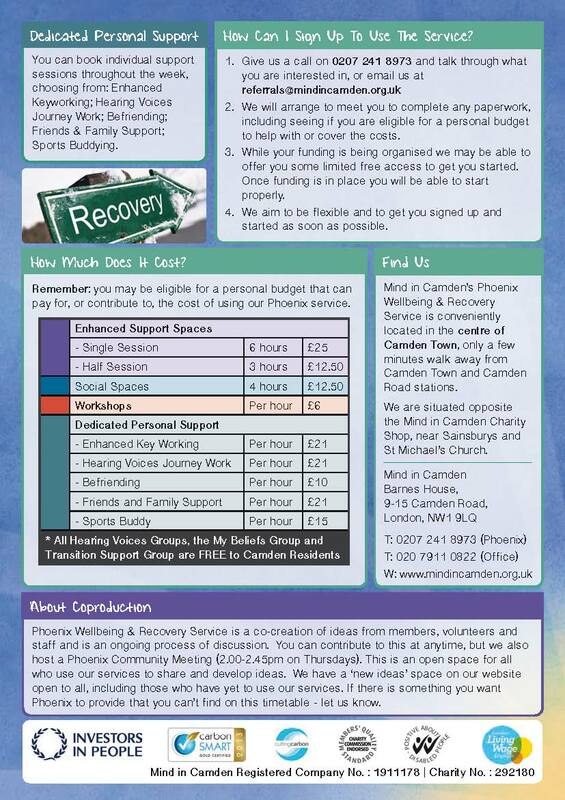 Based at Barnes House in Camden Town, Phoenix offers a range of flexible support options so you can create a recovery plan that works for you. Sessions facilitated by Senior Recovery Staff, providing a range of timetabled co-produced activities, peer support, goal-setting, access to counselling, individual practical, emotional and crisis support, subsidised meals, access to IT (inc WiFi), special events and trips. 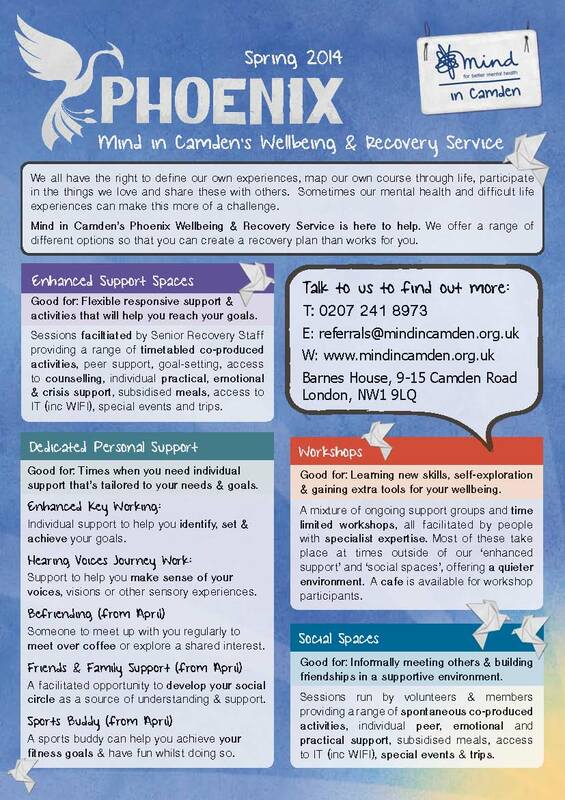 Good for: Learning new skills, self-exploration and gaining extra tools for your wellbeing. 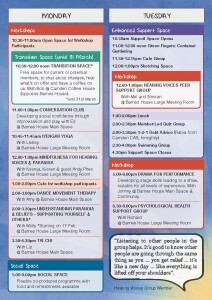 A mixture of ongoing support groups and time limited workshops, all facilitated by people with specialist expertise. 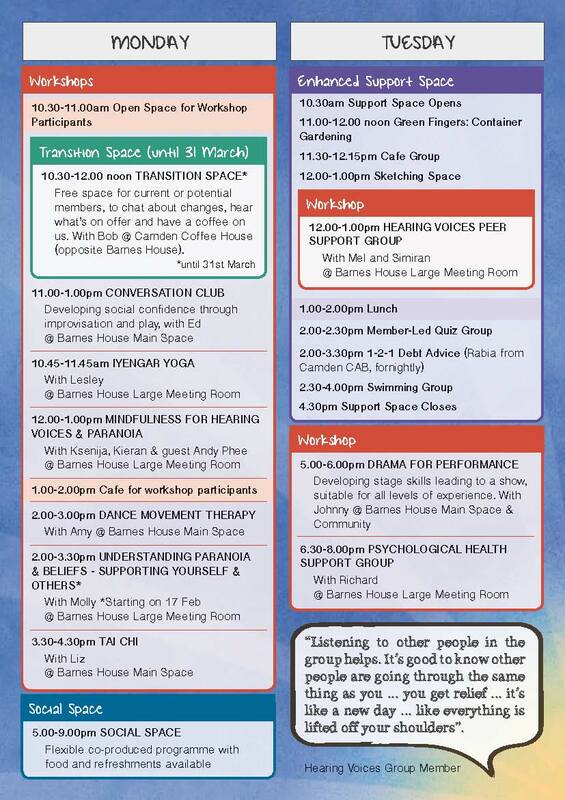 most of these take place at times outside of our ‘enhanced support’ and ‘social spaces’, offering a quieter environment. 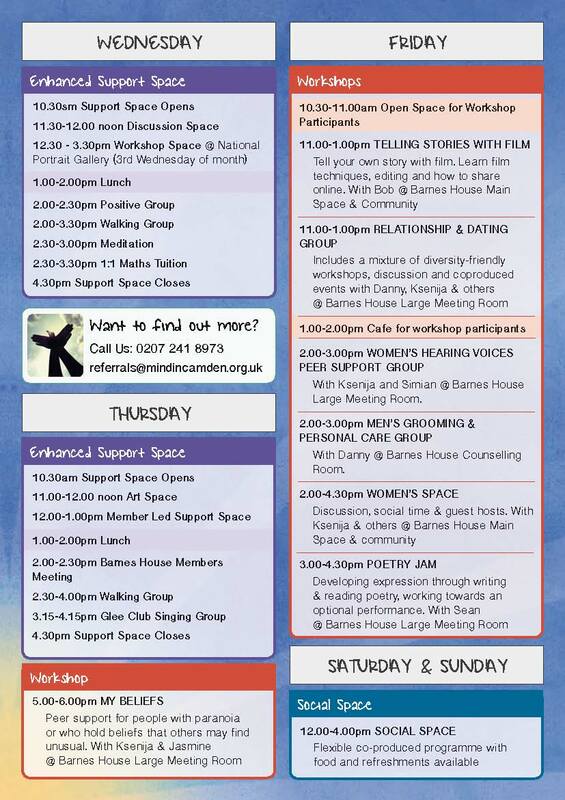 A cafe is available for workshop participants, serving light refreshments. Good for: Informally meeting others and building friendships in a supportive environment. 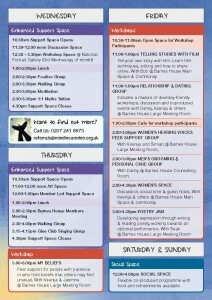 Sessions run by volunteers and members, providing a range of spontaneous co-produced activities, individual peer, emotional and practical support, subsidised meals, access to IT (inc WiFi), special events and trips. Good for: Times when you need individual support that’s tailored to your needs and goals. Sports Buddy (from April): A sports buddy can help you achieve your fitness goals and have fun whilst doing so.